Hall bathroom with tub shower. 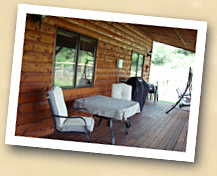 For a complete inventory listing of the Guest House click here. To see more pictures of the Guest house go to our Photo Album page. First - check the Calendar page on this web site to view the dates that are available for new reservations. Reservations will be made on a first-come first-served basis and must be for a minimum of 3 nights and a maximum of 14 nights. Exceptions may be made if the reservation is being made within 2 weeks of the scheduled start date and the calendar is open. 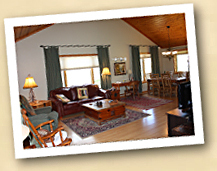 The Guest House is available for Holiday reservations specifically for lot owners or visitors of current residents. 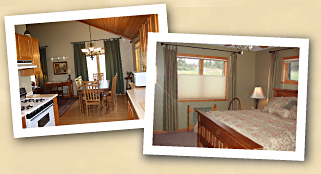 No owner may stay at the Guest House for the same holidays in consecutive years. Arrival time is after 3 pm and departure must be before 11 am. Exceptions will be addressed on an individual basis and will be dependent on cleaning services. The usage fee will be $80 per night with a mandatory cleaning fee of $100 per visit. Pam Schricker is the Guest House Coordinator and will handle all reservations. Pam can be contacted by phone at (970) 731-2356, by email at guesthouse@reservepoa.org or through the Contact Us page on this website. On the Contact Us page, select Guest House in the Send To box and then select Guest House Reservation in the Subject box. Your reservation will be considered confirmed upon payment of a $100 deposit and the website calendar will be updated with your reservation dates. Full payment must be submitted at least 30 days prior to the arrival date. 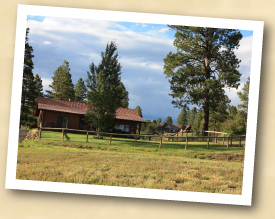 Make your check payable to The Reserve at Pagosa Peak POA and mail your check to Reserve at Pagosa Peak POA, 197A Santino Place, Pagosa Springs, CO 81147. Confirmation of your reservation will be sent by Email in the form of a PAID invoice. Cancelation Policy. If a cancelation request is received at least 30 days prior to the arrival date, any payments already made will be refunded at the full amount. If a cancelation request is received within 30 days of the arrival date, any payments made will be refunded less the $100 deposit as a cancelation fee. EXCEPTION - in the case of the holidays of Memorial Day, Easter, July 4th, Labor Day, Thanksgiving, Christmas and New Year's, any cancelations less than 30 days prior to arrival date will receive NO refund. Change Policy. If a change request is received at least 30 days prior to the arrival date, and if the requested change is to either shorten the length of stay or to change to new dates within the same calendar year, there would be no fees charged and any payments made would be applied to the new reservation. Refunds for changes to shorten the length of a stay, requested within 30 days of the arrival date, will follow the cancelation policy guidelines. A motor home or trailer may be parked at the Guest House while an owner is staying in the house, but it may not be used as additional accommodations if it requires the use of Reserve electricity and water. Pets are allowed in the Guest House; but should not be left alone for extended periods of time while the guests are spending the day out of the Guest House. 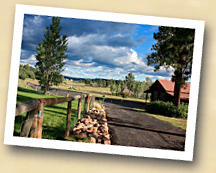 Guests are responsible for cleaning up after their pet on the guest house property and in the neighborhood. Any disturbances such as barking must be curtailed to ensure other residents are not inconvenienced. Guests are responsible for all property damages and/or personal injuries resulting from their pet. The Reserve POA reserves the right to charge guest's additional fees commensurate to the cost of such damages. Guests agree to indemnify and hold harmless the POA and its board members from all liability and damage suffered as a result of the guest's pet.